T-103 Volunteer State Tennessee original found Cold Harbor, Va.
TG-VS Tennessee Volunteer State. 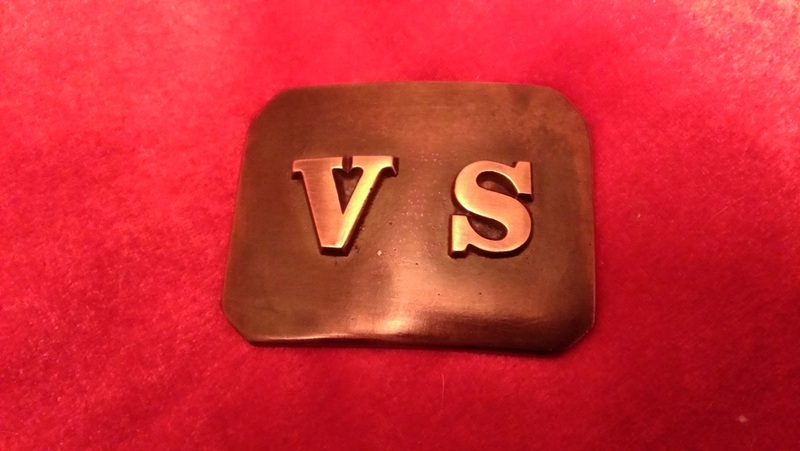 The original had the V S applied and letters were pewter. The letters are also larger than the stamped T-103. 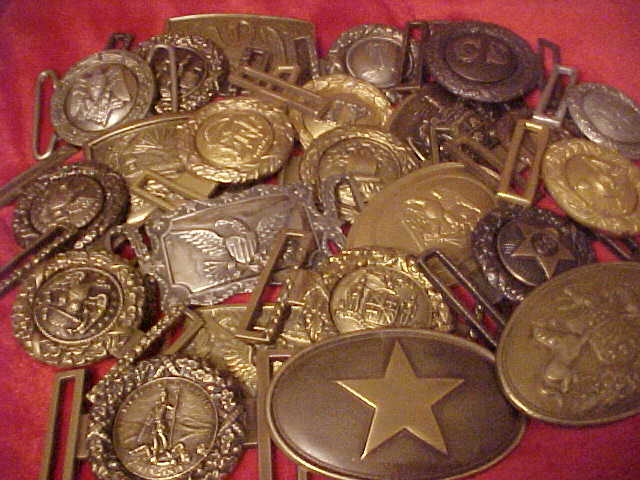 Reproduction is solid brass. 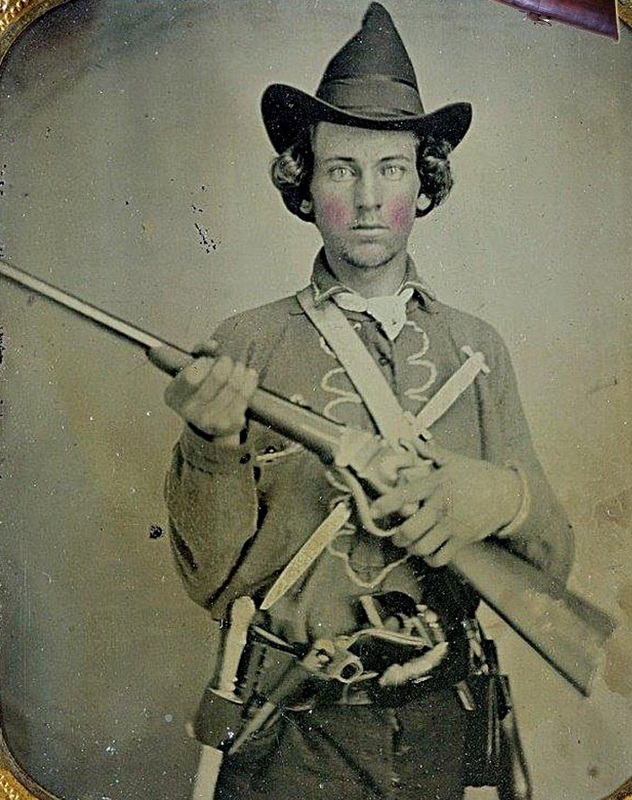 The original I dug is pictured in the Confederate buckle book by Steve Mullinax.